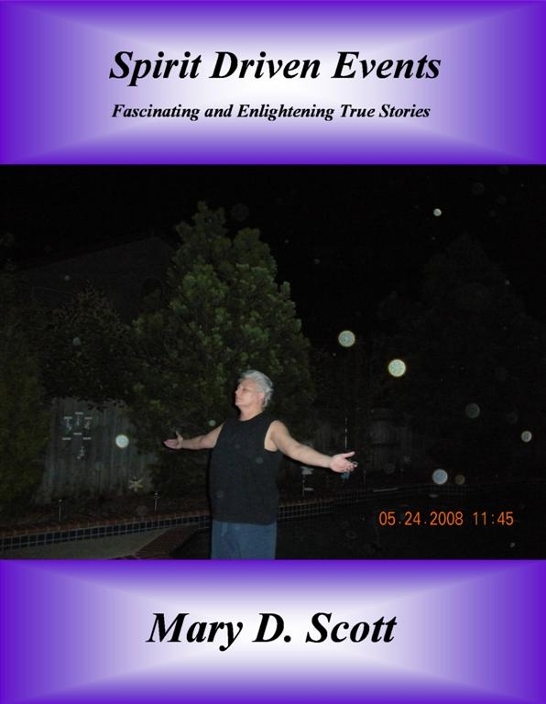 "Spirit Driven Events - Fascinating and Enlightening True Stories". The book is about 200 pages which includes over 50 pages of pictures where spirits were captured... including the spirit of Elvis! "I read the entire book in one day ...I just couldn't put it down! I just finished reading it and I found the book to be most excellent! I feel like I know and understand you. Keep up the good work! May God continue to bless you in all that you do! When is the sequel coming out?" "I received and read your book the same day! It was EXCELLENT! I simply couldn't put it down! just can't get enough!!! I can't wait to read your next book!" and I bought her book to learn about her experiences. I read the book again to see what I can learn and apply to my life. I did so, and gained a different insight, reading it as a guide for myself. I will soon read it for a third time. 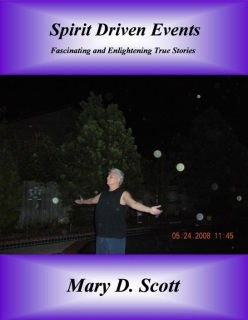 I would recommend this book to all interested in true spiritual experiences. Mary is an honest woman with God given spiritual abilities, whose goal is to use her abilities for good." Five Star Review - Excellent! "I have the privilege of knowing Mary. I have seen and experienced some the things she has written about first hand. This is such a well-written, much needed book. This book will open your eyes to what is real and what you are really all about. I encourage everyone to read it and give some of her methods a try. You will discover we are amazing and wonderful in ways you hither to could not imagine. This is not out of your grasp. Open your minds and hearts and allow the Spirit of God to flow through you." from you in the future. You are much needed on this planet!!! 5 ***** on your book!" "WOW! Couldn't put it down. Read it in one setting. When is volume two coming? More please!" “Gosh, I can't stop reading! “Your book cover, illustrations and content is both amazing and awesome!”. "I read the entire book in one day ---I just couldn't put it down! I just finished reading it and I found the book to be most excellent! I feel like I know and understand you. Keep up the good work! May God continue to bless you in all that you do!" "The EBook is awesome it will knock your socks off!!! This book is about 200 pages and includes over 50 pages of pictures where spirits were captured ... including the spirit of Elvis!!! The healing stories are amazing!"